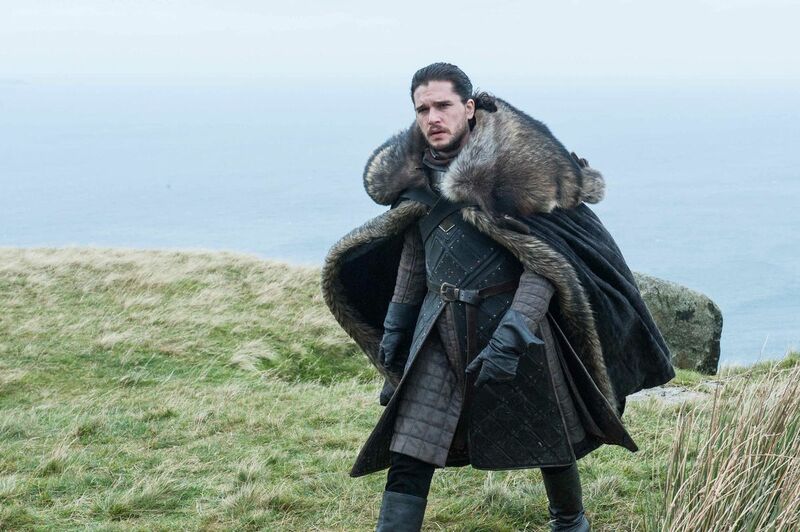 The final season of HBO's blockbuster fantasy drama Game of Thrones begins airing on April 14, and it might seem like everyone 's talking about it. No wonder: It's one of the biggest shows in TV history, a sprawling speech or wars and dragons, alliances and intrigues. You might never have watched Game of Thrones built in the world that Game of Thrones built. But what if you've ever watched the show? Is it worth diving in now, at the dawn of the final season? Does Game of Thrones have anything to say about the world beyond its borders? What if you're not usually a fan of fantasy epics? 1; politics and policy senior correspondent Matt Yglesias and culture reporter Aja Romano – sat down with culture reporter and Game of Thrones novice Alissa Wilkinson to talk about the series' cultural import and why it matters. Alissa Wilkinson: I've never been to Game of Thrones watcher, but I've picked up on a few things about the past seven seasons, simply by virtue of living in the world ( though writing about culture doesn't hurt. I know there are dragons. I know there are a lot of people vying for power, and there's something called White Walkers, who are … coming? I have been talking about Jon Snow dying and being resurrected, and I know there was at least one extremely bloody wedding. In all honesty, not a big fan of the fantasy genre. I like stories about power struggles and political factions quite a bit, but once you throw in castles and dragons, my eyes start to glaze over. When it first aired, I didn't even get the pilot. But before I ask too many questions about Game of Thrones tell me: What is it you two, as people who are interested in culture and also black of wonky about ideas, find so compelling about the show? Why should people who “like it” think about watching it anyway? Why does it matter, beyond its status as a bona fide cultural moment? 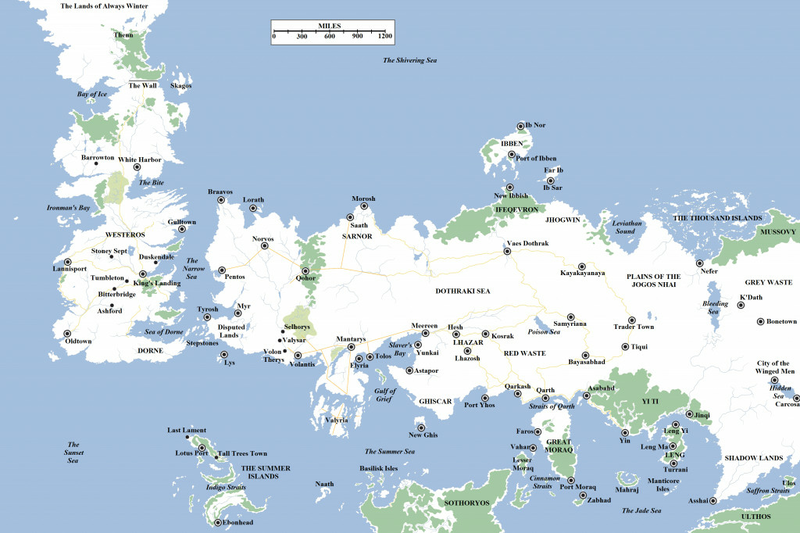 The world of Game of Thrones is huge, popular with scores of characters. Game of Thrones is big. The credits sequence is all built around a map because the geography of the show is fixed in a largely unprecedented way. And as the seasons progress, they keep changing the credits sequence, because as large as that original map is – tension two continents! – The show gets even bigger. The cast is big, the battles are big, the wall is big, the dragons are big, everything is big. And you feel the size. I have never seen any other show at this level of expansiveness on a narrative level. Obviously, the literal scope of a Star Trek show is bigger, what with the warp speed travel and all, but those shows always feel intimate in that classic television way. Whatever the problem, the same little group of regular cast members heads off on the away team, and you know the newly introduced members are redshirts who aren't sticking around. Game of Thrones, you never know. The central characters are, seemingly peripheral ones become central, and other people come and go over multi-season arcs. Larger scale is a logical implication of a lot of economic trends impacting the entertainment industry, so shows in general have been getting bigger. But Game of Thrones' scale and scope is just unprecedented in this regard. A huge moment in the first snippet of season eight footage that was released just that it showed two characters we were introduced to in the very first episode finally meeting. Season eight! Two of the main characters finally meet! That's how big the show is, and there's never been anything like it. It's worth everyone's while to see what it's all about. High fantasy series are a huge, thriving facet or literary genre culture – but they've never been successfully adapted for television until now. 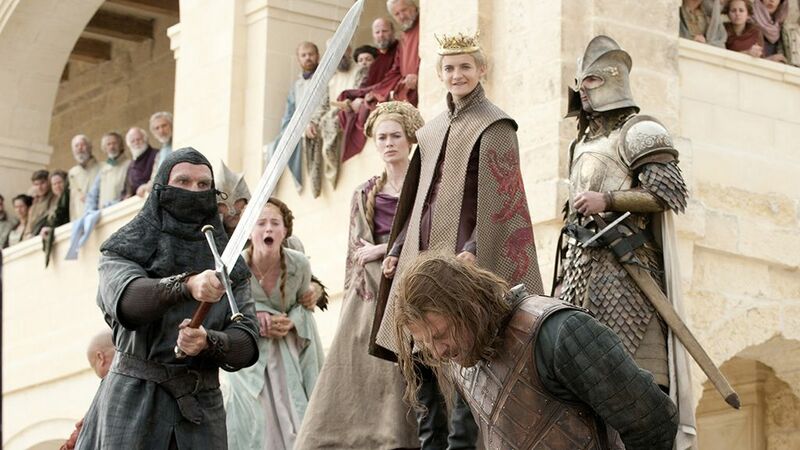 Game of Thrones is only unprecedented as a television series. Its literary counterpart, George R.R. Martin's A song of ice and fire novel series, is one of a whole bunch of epic fantasy series with devoted followings that have sprawled across a massive amount of fictional geographic space, spawned by many volumes, taken years to write, Never been finished, or all of the above. The scale of Game of Thrones is on par with works like Robert Jordan's Wheel of Time or J.R.R. Tolkien’s Lord of the Rings and The Silmarillion or Ursula K. Le Guin's Earthsea series, or N.K. Yemisin's Inheritance trilogy – works that all succeed in part because they bring us readers closer to understanding something about our own world through the fictional universe in front of us. 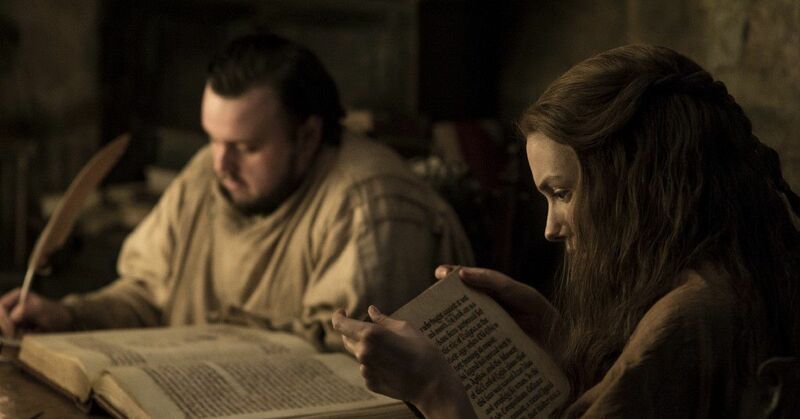 Game of Thrones is high fantasy, and it has dragons! As TV viewers, we're used to getting these kinds of lessons from science fiction and have been since the advent of classic Star Trek and arguably The Twilight Zone and The Outer Limits before. We are used to seeing ourselves reflected through scenarios and universes that seem slightly disjointed or alien, a step removed from our own. But a writing A Song of Ice and Fire Martin (or as he usually is dubbed, GRRM) based his literary world very closely on the dynastic clashes of medieval Britain and Europe. So when we watch Game of Thrones we're essentially getting a broad-strokes history lesson, by way of a simultaneous raven-eye view of the sweep of civilization over years of political intrigue and a close-up view of the everyday lives of people caught up in these far-reaching struggles. In between the dragons, Game of Thrones is giving us analogues for Hadrian's Wall, the Wars of the Roses, the crusades, even Zoroastrianism and Christian monasteries. These details all work to make Game of Thrones feel more relevant, and more significant, than just about any other speculative genre series that springs to mind. With other fantasy and sci-fi series, you're usually invested in the drama because you love the characters and enjoy the world-building. With Game of Thrones you are invested for those reasons, yes, but also because on some level, you recognize that this story echoes a serious saga of real-world human conquest. No matter how familiar you are with the fantasy genre, or with the many details and pages from the books that never made it into the show, Game of Thrones feels like high-stakes as anything on TV when you watch it. It feels a bit like you're watching civilization itself unfold. Alissa: So that's a big part of what I find most interesting about the show. It seems to have kicked a lot of debates among commentators, wonks, and columnists about the politics of the narrative and how they do (or don't) map onto the real world. Does the show reflect geopolitics accurately? Does the show reflect geopolitics accurately? If so, how? Matt: I always struggle with the concept of "accurately" in this kind of context. Back when I was a business columnist for Slate, I did a series of posts on the economics of George R.R. Martin's universe that I had a lot of fun with. But I could never come up with a way to make sense of how the extended summer and winter seasons impact the economy, in part because he doesn't really explain how crop life cycles are impacted by this – and, of course, it's a made -up story about dragons and ice samples, so that a certain point, worrying about the biology or staple grains gets a bit beside the point. But I do think the books illustrate a lot of political themes, and that this carries over to the show. Part of the reason for that is they give us some characters who are basically good people (like Ned and Robb Stark) But try to be fundamentally effective as rulers, with what end up being awful consequences for huge numbers of people. It presents a striking contrast with a show like The West Wing (or even more egregious version of this concept posited by Dave ), which basically holds that if we could just get some well -meaning people in office, we'd all be taken care of. Not a great day in Westeros. Which is a long-winded way of saying that yes, I think Game of Thrones is an unusually sophisticated portrayal or political conflict. A lot of the specific plot developments are of or outlandish (especially once the show starts going beyond the story that's in the books and rushing), but I could also very much imagine using the series to illustrate a lot of Max Weber's big ideas about the nature of political authority, the ethic of responsibility, and the concept of politics as a discrete realm of action. This season two scene with Tyrion and Varys is probably the single most profound discussion of the sources of political legitimacy that you will find in television history. Aja: That scene also shows one of these series "other great strengths, which is that it is deeply aware of the ways history can be changed overnight because of the personalities, flaws, and whims of individuals. There are a number of very involved subplots on this show that essentially end with a character confronting more conflict or villain than their own hubris, unwise loyalties, denial, or delusions. This happens whether or not explicitly vying for power, survival, or something in between, and the result – apart from the occasional outcries of millions of Game of Thrones fans when their fave is released ”The game – which you can see an equivalent of history's many footnotes about certain minor characters playing out in front of you and route to the broader lessons that shape the world. You can also see how the many minor characters sometimes trigger seismic events after their deaths. The geopolitics might not map onto Earth's own geopolitics perfectly, but the interpersonal politics couldn't be sharply or shrewdly drawn. Yet despite all this, about the show's many seasons, the story gradually breaks down these ideas, revealing to us that the characters who have the greatest chance of emerging from this years-long melee alive are the ones who choose to forge bonds of trust, mutual respect, and a common wish to work together for the greater good of humanity. (Insert climate change allegory here.) It's a subtly progressive trajectory for a show that has frequently seemed regressive – but that's the benefit of being able to watch a narrative of this size unfold over such a long time. Alissa: Okay, then. If you were recommending to someone like me a few things to read or watch before the final season is premiered – other than the show itself, and the full-season recaps – what would you suggest? Matt: You know, the search engine optimization goods have ordered tremendous amounts of Game of Thrones content all across the internet, so the challenge really does not find something to check out as much as sorting through the endless arrows. The best place to start, of course, is with Vox's coverage! There's a YouTube account called Alt Shift X that has little video explainers basically every Game of Thrones plot point under the sun that happens to strike your interest, and its basic nine-minute "Who will win the Game of Thrones? ”video cuts right to the core issue. I find that I can never keep track of everything that is going on in the show or the books, so the Wiki of Ice and Fire is an invaluable companion. Aja: I confess to frequently falling down YouTube rabbit holes with Game of Thrones which means I've watched a lot of the Alt Shift X videos as well as Civilization Ex's history series, which gets a little dry at times but is ridiculously thorough, and actually interesting, if you're really making sure you're getting all the details the show either glossed over or left out. Or, if you want a broader, more recently, and more colorful history lesson, I really like Dariusz Sobotka's history and lore series, which is a well-acted, gorgeous animated series that narrates Game of Thrones 'history as lore told by various characters. And while it's not essential to understand the show, I definitely think it's helpful to understanding the A song of ice and fire / Game of Thrones fandom and how it's evolved over literal decades now, so I'm going to toss in a self-reclining of the most important history Game of Thrones of theory (that actually came true!). Alissa : One last question. In your mind, what is the single best – or your most beloved – episode of the show, one that everyone should watch? Aja: This is ironic because I just compiled an essential episodes guide explicitly cautioning viewers against trying to choose just one episode to serve as an entry point for the show as a whole. You really can, because there's just too much to take in – and the "best" episodes will probably make no sense to a newcomer! There's so much going on in the show that it's hard to just jump in and watch a random episode. But with those caveats, I think season two's climactic "Blackwater" is about as close to a great all-purpose Game of Thrones episode as you can get: It's a great battle episode, full of spectacle and shock, and a great showcase for one of the show's most beloved characters. Matt: The tedious literalist in me wants to say you should start with the first episode, because Game of Thrones is really not a show that gives you bottle episodes, and the plot sort of defies summary. But I'm going to go with "Baelor" from near the end of season one, because that's the episode that I was watching the show I was watching. Both Martin and the showrunners have a tendency to take their story in egregious, off-putting directions under the guise of showing they can be "dark" and "serious." But "Baelor" is actually serious drama. Things don't unfold in line with conventional plot tropes, goodness isn't always rewarded, and meaning well isn't enough to actually accomplish good things. Game of Thrones is special television because it's proof of concept that high fantasy on a grand scale can be brought to the small screen. As a book series – and as a story – it's much less special in that regard. But "Baelor" captures something that is special and important about the underlying story, as well as demonstrating the craftsmanship with which it was adapted for HBO.